Like everybody else, news of Michael Burks' death knocked me for a loop. He had just returned to the states after touring throughout Europe and died in Atlanta from a heart attack shortly after arrival. I have to admit that it had been awhile since I'd thought of him.....he had not recorded in a while (though he has an album on Alligator slated for release soon) and I don't think he had performed around here lately. 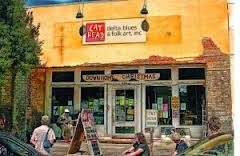 He was a regular in Jackson, MS for a number of years at the 930 Blues Club, but after he signed with Alligator, I think his appearances were not as frequent. I never made it over to see him. I certainly wish that I had now. 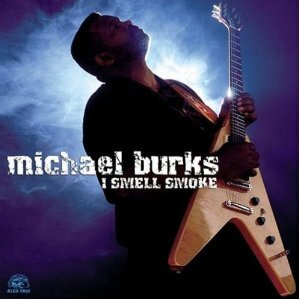 I first heard Burks when I picked up his debut CD, From the Inside Out. 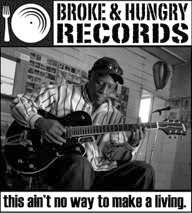 It was released by Vent Records, a small label out of Alabama in 1997 and fortunately, the record store I used to frequent was only about half an hour from Alabama, so they carried most of Vent Records' catalog. There were several things that grabbed me about his first release. Vocally, he sounded like Albert King and while King would never be mistaken from Perry Como (vocally or physically), he did have a gruff, distinctive style. Burks sounded just like him at times. He also played guitar a lot like King did, but really, what modern-day blues guitarist didn't borrow just a little bit from King??!! He retained King's style, but also brought a sharper edge to King's muscular style, resulting in some amazing solos. The other thing I noticed was that Burks wrote all eleven tracks on this release, which was almost unheard of for a new artist on their debut release. Not only did he write the songs, they were good songs, too. From the Inside Out was a surprisingly good debut release (which is now, naturally, out of print). I decided to keep an eye out for this Michael Burks guy, thinking he would end up being somebody special. Burks was born in Milwaukee, but his family moved to Arkansas when he was a teen. 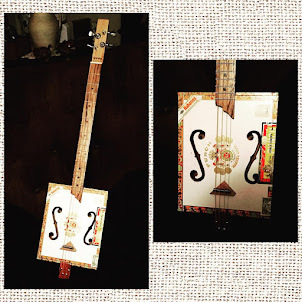 Burks had learned to play guitar at an early age.....his father would offer him a dollar for every song he learned from beginning to end. 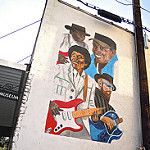 His father also played bass guitar, sometimes sitting in with Sonny Boy Williamson II, and his grandfather also played the blues in the Delta style, so the blues was in his blood. 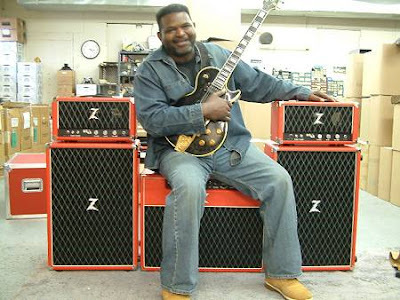 His dad opened a juke joint shortly after moving to Arkansas and Burks ended up leading the house band, backing the various blues and R&B performers that came to play, until the club shut down in the mid 80's. 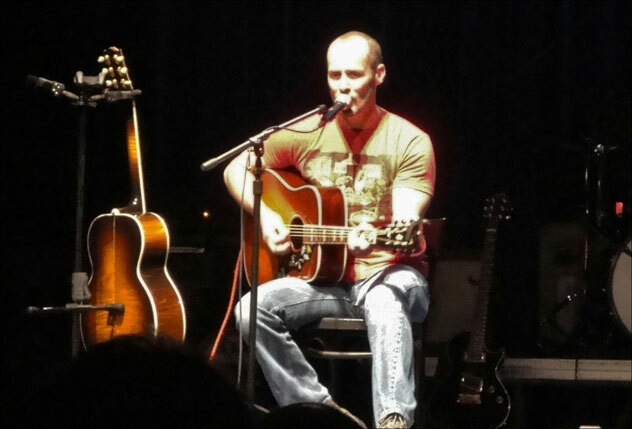 Burks put his music on the back burner for awhile, going to work for Lockheed Martin, but he still managed to play the blues on the side at different venues and festivals. 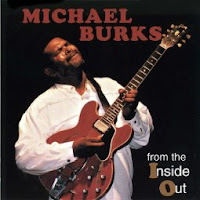 From the Inside Out was a complete Michael Burks production....he wrote all the songs and even produced the disc.....and it received rave reviews. 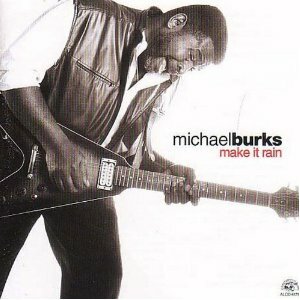 In 2001, Burks signed with Alligator Records and released Make It Rain. His Alligator debut was produced by head 'Gator Bruce Iglauer and legendary producer (Luther Allison, Santana, Stevie Ray Vaughan). 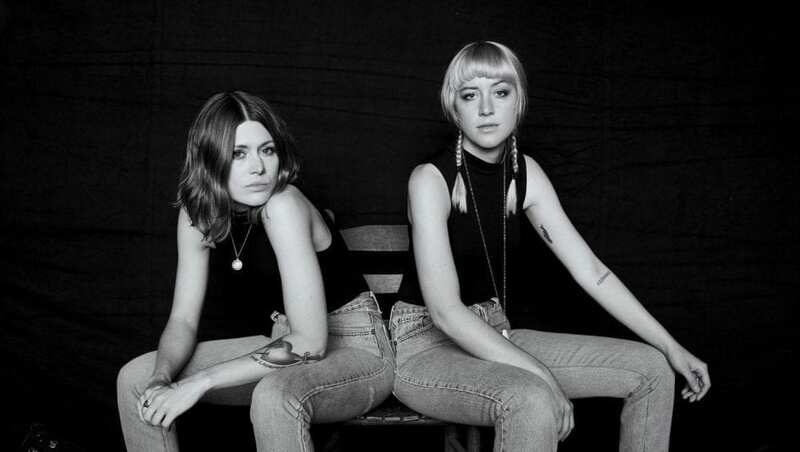 There were some nice moments, with the appropriately-titled opening tune, "Hit the Ground Running," "Got a Way With Women," and the moody title cut. 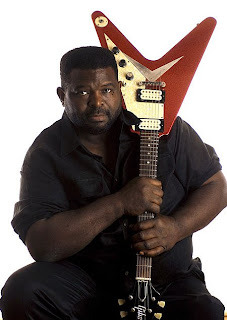 There was also a nice Albert King-like tune, "Everybody's Got Their Hand Out," one of several written or co-written by Burks.....another was "Don't Let It Be A Dream." 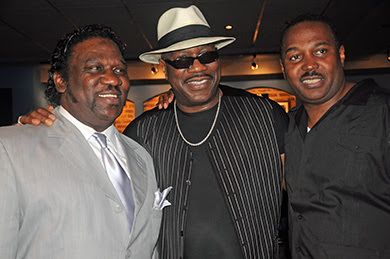 All in all, it was a nice start for Burks, and for Alligator, they added a blues guitarist on par with Luther Allison, whose passing in 1997 had left a huge void for the label and for the blues in general. Burks continued to improve with each release. His second disc for Alligator, 2003's I Smell Smoke, is probably his best. While he still retains a touch of Albert King in his vocals, he really starts to expand his range on this disc. His guitar work is incredibly intense, even on the slow blues tunes. On this disc, he mostly handles cover material, such as Dion Payton's "All Your Affection's Gone," Jon Tiven's funky title track, and Benny Lattimore's "Let The Doorknob Hit You." The three songs he did have a hand in writing ("Time I Came In Out of the Rain" "Miss Mercy," and "I Hope He's Worth My Pain") are all first-rate. 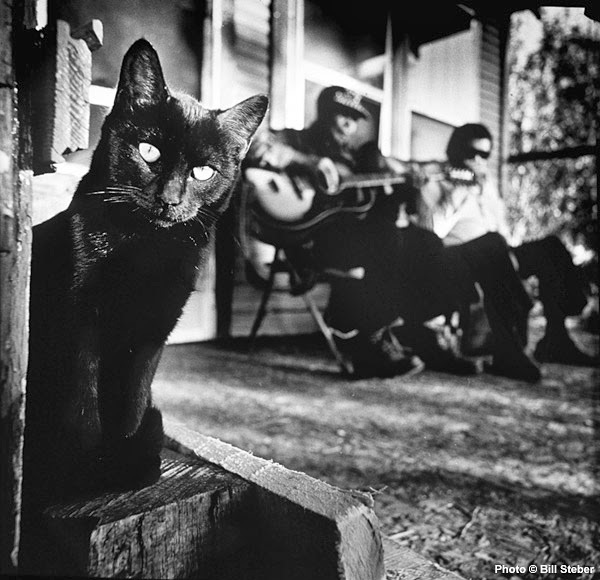 Though the intensity is high for the most part on these tracks, he does settle down a bit for the album closer, "Snake Eggs," a duet with Burks and Memphis harmonica ace Billy Gibson. Burks' next release was in 2008. 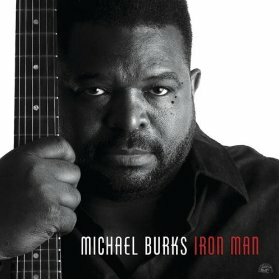 Iron Man featured Burks with his band instead of the Memphis musicians he used on his previous two discs. Despite their absence, the disc still has a greasy soul feel, thanks to Wayne Sharp's work on the Hammond B3. 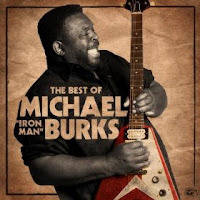 There are some strong songs here by Burks, including "Love Disease," "Strange Feeling," and "Icepick Through My Heart," and "Changed Man" (the last two co-written with Iglauer). I also liked the Jimmy Johnson cover, "Ashes in My Ashtray," and the crunching cover of Free's "Fire and Water." Burks' vocals continued to develop and improve and his guitar work was as awesome as ever. Have you ever heard a musician who amazingly continues to improve when he actually was as great as anyone you'd ever heard the first time you heard him? Does that make any sense whatsoever? That's the feeling I always had with Michael Burks. Alligator released a "Best of" collection in 2010, that gathered the cream of his three releases. Burks had also just completed recording his fourth Alligator disc, which is slated for a July release. It's depressing when these guys pass away too early. Most blues fans figured Burks had a long career ahead of him. From what I've heard from those who saw him live, Burks' stage performances put his recordings to shame, which had to be something else, based on the intensity of his work on the above mentioned discs. Hopefully, somebody has a live performance in the can that we will get to enjoy one day in the near future. 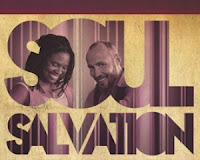 As I mentioned last week, I attended the last performance of the Soul Salvation tour at the Riley Center in Meridian, MS. 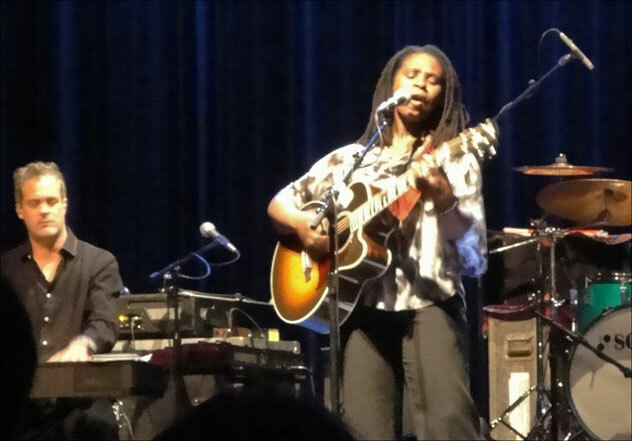 The tour featured singer/songwriter Paul Thorn and blues/soul/folk singer/songwriter Ruthie Foster. At first, the pairing might seem a bit odd, but both artists have deep roots in soul and gospel music. Thorn's father was a preacher and Foster grew up singing and playing piano in her church. 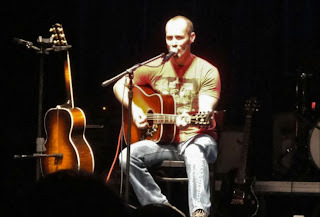 Thorn took the stage first, playing a solo acoustic set of seven or eight songs. The acoustic setting allowed Thorn to be a little more personal with his audience....probably about 80% of the crowd was there to see him. He has a great easy-going, self-depreciating personality and it feels like he's talking to you personally. His songs are funny ("Burn Down the Trailer Park," "I Guess I'll Just Stay Married"), sad ("I Have a Good Day Every Now and Then"), and inspirational ("I'm Still Here"), sometimes within the same song ("That's Life," a song about his mother). He invoked his preacher father when, at the conclusion of his show, he told his audience that if they didn't go buy his CDs out in the lobby, "you'll go to hell." He has a great soulful voice and I couldn't wait to hear him and Foster together. 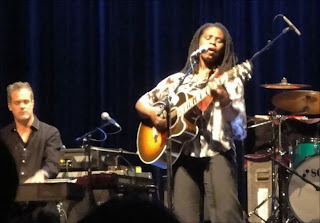 Foster was backed by keyboards (Scottie Miller), bass (Tanya Richardson, who also played fiddle...sorry, can't call it a "violin" when they're playing the blues), and drums (Samantha Banks). Foster played acoustic guitar. I have to admit that I wasn't as familiar with Foster's recordings, though I have heard her before. She's a magnificent singer, sometimes reminding you of a mix between Roberta Flack and Aretha Franklin. From what I've heard about her (she appeared at the Riley Center a couple of years ago), she puts on an energetic show. The first few songs were really good, but they sort of fell into a rut about midway through and a lot of the songs sounded alike. Part of the problem was that there was no lead guitar, so the Hammond B3 took most of the solo spots and, even though Miller did an excellent job, the solos started sounding the same after a period of time. There were some great moments though. 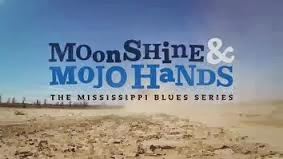 "Smalltown Blues" was a nice opening tune, the cover of Mississippi John Hurt's "Richland Woman Blues" was a highlight, as was the a cappella version of "The Titanic," and a jazzy version of "Ring of Fire." Foster also did a tribute tune to Sam Cooke, called "Another Rain Song." Foster was great interacting with her audience, telling stories about Jessie Mae Hemphill and about her time as a songwriter in NYC. She said Cooke was a major influence on her as a youngster and, listening to her, you could hear a lot of Cooke's phrasing and delivery. Overall, it was a good, solid set, but oddly, it lacked the energy of the Thorn solo set.....maybe due to the largely pro-Thorn audience, or maybe because it was the last night of the tour. Sadly, Thorn only came out for one song, wearing a blonde wig. The song, "Up Above My Head," was okay, but it would have been great to hear more of them together. Oh well, maybe each of them were able to introduce the other to their groups of fans. By the way, congratulations to Ms. Foster for winning two BMA's last night, one for Best DVD (Live at Antones) and the Koko Taylor Award (for Best Traditional Female).